When you are looking for a coupé, you just want to make sure that you have a low-slung and sleek profile with the advantage of having four doors. And this is exactly what the 2018 Audi A5 delivers. 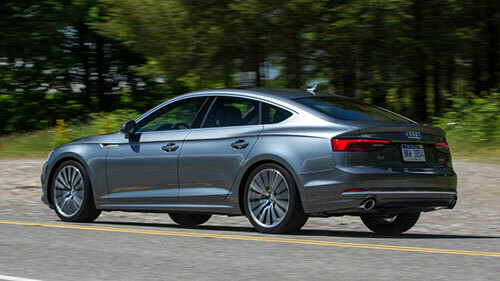 The truth is that with an amazing liftback, the 2018 Audi A5 is looking better than ever. 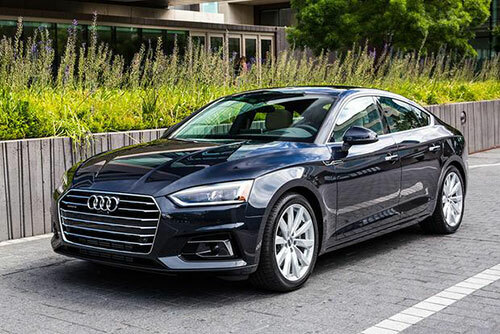 With a simple yet attractive style that will make you feel like a king, the 2018 Audi A5 is well worth the money. 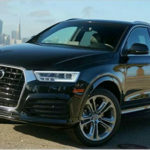 Let’s take a look at what you can expect from this new Audi car. 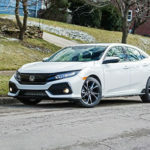 Make sure to take some tie to check out the top 2019 cars. You’ll be glad to know that the new 2018 Audi A5 is already available in dealer showrooms across the entire country. The 2018 Audi A5 starting price is at $43,575 right now. Then, depending on the trim that you choose – Premium, Premium Plus, or Prestige, the final price will vary. While the Audi A5 has started as a simple coupé, this is no longer true. The reality is that the new 2018 Audi A5 comes with a sports coupé styling that is extremely appealing. On its second generation, the 2018 Audi A5 has a sleek but elegant look that has been there from the beginning. While the convertible, in our opinion, looses some of its amazing looks, the truth is that the Sportsback really shows some of the best lines of the A7. One of the things that you’ll notice on the 2018 Audi A5 is that the lines are a bit sharper than on the previous generation. However, we believe that this is a good evolution of the exterior design. When you are considering buying the 2018 Audi A5, you need to know that you have three different options available: the coupé, the convertible and the four-door hatchback. All of them come with all-wheel drive. Under the hood, you will be able to find the standard 2018 Audi A5 equipped a 2.0-liter turbo-four engine that is capable of producing 252 of horsepower and 273 pounds per feet of torque. 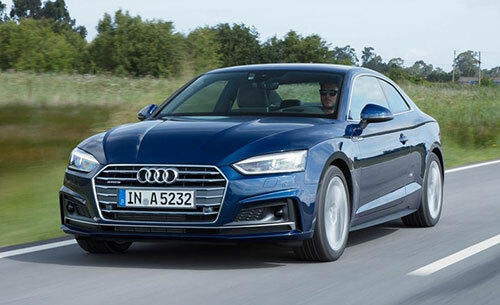 In terms of the transmission, the 2018 Audi A5 comes with a six-speed manual transmission if you go for the coupé or a seven-speed dual-clutch automatic gearbox. 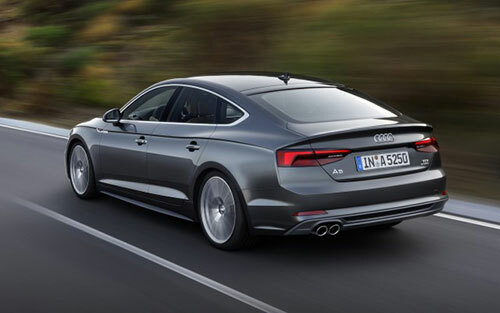 However, if you want to get a higher trim, you should look at the S5. This comes with a 3.0-liter turbo V-6 engine which is perfectly capable of producing 354 of horsepower and 369 pounds per feet of torque. 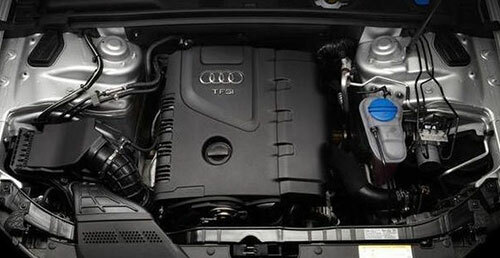 The S5 comes equipped with a 6-speed automatic transmission. The ultimate trim available, the RS5, comes with a 2.9-liter twin-turbo V-6 engine that is able to produce 450 of horsepower and 443 pounds per feet of torque. This trim comes with an 8-speed automatic transmission. Inside the cabin of the 2018 Audi A5, you will be able to enjoy a classy look with low-gloss black plastics and horizontal lines. Besides, you’ll be able to also see the leather upholstery, as well as the metal or wood trim. 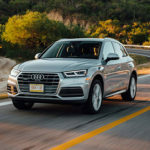 One of the things that we love about Audi’s cars besides the comfort is the technology and safety features they usually include. 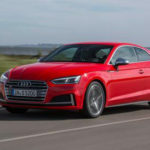 In the 2018 Audi A5, you can count on finding a tri-zone climate control, HID headlights, the Audi’s MMI interface with a 7” screen, keyless entry/start, a rearview camera, Android Auto and Apple CarPlay integration, a panoramic roof, Audi Drive Select, among others, as standard features.